In our comfortable showroom, you’ll discover quality flooring at warehouse prices. Our knowledgeable and friendly staff will help you find the best flooring to meet your needs. Sawgrass Floors’ capable, professional technicians are licensed and insured, and trained to skillfully put your new or replacement flooring into place. Our installers are employees, not subcontractors—so they have a vested interest in ensuring your complete satisfaction. Our office staff will work with you to schedule a convenient installation time and make sure that we address any issues promptly. If you want the traditional warmth and unique character of hardwood flooring, come to Sawgrass Floors to select the perfect planks for your Plantation parquet. Each type of wood imparts its own characteristics, such as color, pattern, and hardness. Consider a supple, champagne-hued yellow pine for your Coral Springs living room, or a solid Brazilian Cherry in a spectrum of color variations for your country kitchen in Davie. 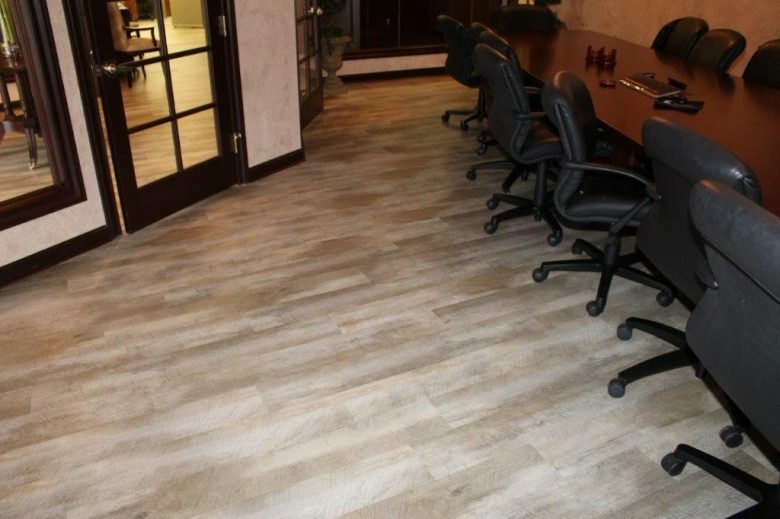 In addition to natural hardwood, Sawgrass Floors sells many different types of synthetic flooring, including laminate, wood-plastic composite (WPC), and stone-plastic composite (SPC). Laminate is stain-resistant and wears well, even in high-traffic areas. Many Plantation homeowners choose it for hallways and bedrooms. Thanks to its tongue-and-groove construction, it’s a snap to install over different kinds of subflooring, from plywood to vinyl to concrete. Often mimicking the look of natural hardwood or stone, laminate comes in myriad finishes. Both WPC and SPC use a combination of materials to provide households in Davie and Coral Springs with carefree maintenance that’s extremely resistant to decay and rot. SPC is completely waterproof—making it an excellent choice for kitchens, bathrooms, laundry rooms, and mudrooms. Both types of flooring are available in a huge variety of looks and textures. If you prefer the soft footfalls and sound absorption of carpeting in your Coral Springs bedroom or living room, Sawgrass Floors gives you a whole spectrum of textures, colors, pile lengths, and fibers to choose from. Whether patterned, carved, or simply uniform in color or style, deluxe carpeting installed by Sawgrass Floors will give your Davie home a comfortable look and feel. For homeowners in Plantation, porcelain tile is a popular choice for kitchens and bathrooms. Whether tiny or large, tiles are water resistant and easy to wipe clean. They come in a wide selection of finishes, colors, patterns, and textures. Sawgrass Floors can adeptly lay out the tiles you choose in distinct patterns, such as checkerboard, herringbone, or windmill. No matter what type of flooring you choose, residents of Davie, Plantation, and Coral Springs can rely on Sawgrass Floors to ensure the best prices and quick, professional installation. Call us today at 954-741-6600 for your free estimate!